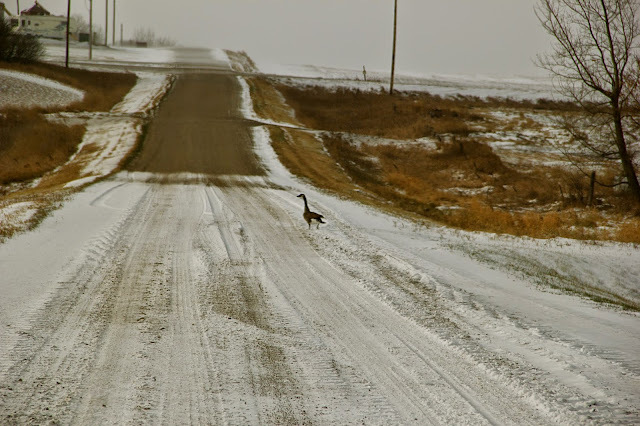 On the snowy road there was a goose. 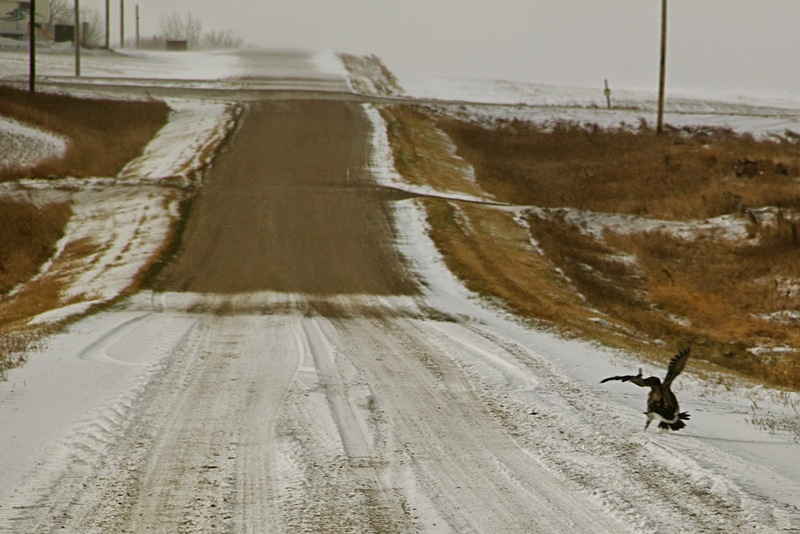 I am going to assume that he is a silly goose as all his goose companions have left GriggsDakota. 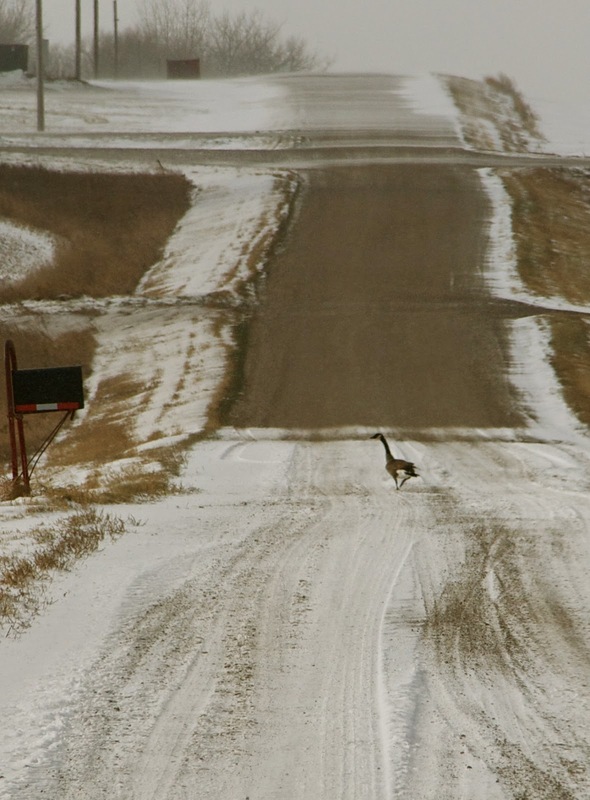 This Canada goose seemed intent on getting the mail for Grandpa Sonny. 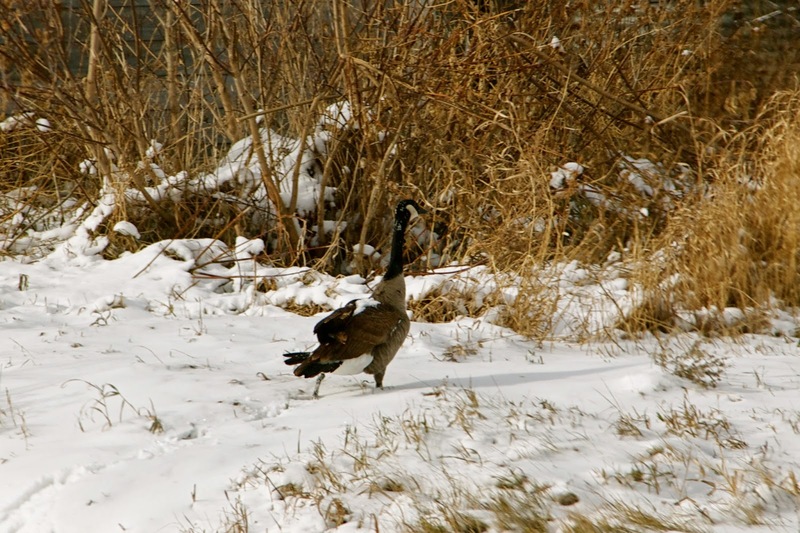 In truth it seems that he is an injured goose. He cannot fly when startled. He is also a determined goose, as being startled did not keep him down off the road for very long. He may also be smarter than I give him credit for being. 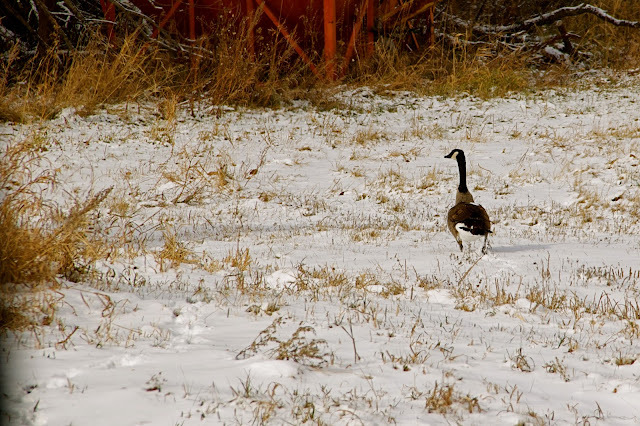 A goose needs open water and the cattle also need water every day. A goose needs a food source and much of what the cattle eat will also feed this goose. There is shelter here in the form of hay and open structures. 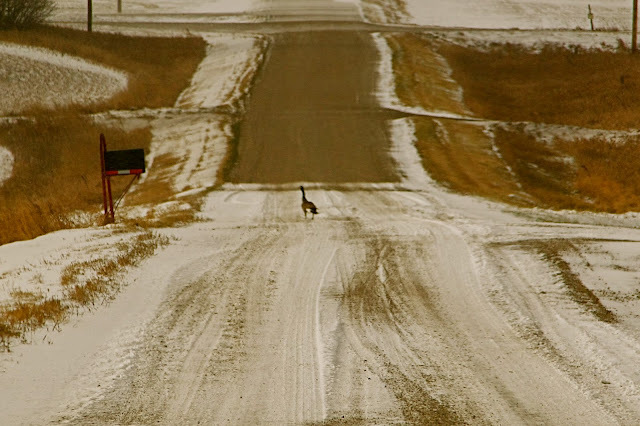 He has a chance to survive the Winter if sticks around GriggsDakota. And a chance is all any of us get in this world. So good luck Silly Goose. It is always better to be lucky than smart. You were lucky enough to land here in GriggsDakota, and that just might be lucky enough.